Gold trading company, BGC International, has denied being part of a syndicate that attempted to smuggle gold out of Ghana. Members of the syndicate were arrested last week attempting to illegally export 480 kilograms of gold. Initial reports suggested that BGC and AA Minerals Limited connived with the syndicate. Speaking to Starr Business, the chairman of BGC International, Vee Akoliya, has denied the report. “I am a valid license holder, my license was issued by the Minerals Commission. Just the next day after the incident you reported about, I exported gold out of Ghana so we cannot be part of any illegal Gold Shipping syndicate,” Akoliya stressed. 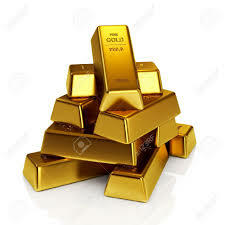 On February 18, security officers at the Kotoka International Airport (KIA) busted a syndicate attempting to smuggle gold weighing about 480 kilogram and valued at US$18,000,000 out of the country. The ounces of gold were hidden in boxes at the time of the arrest.